My husband has been watching the Olympics the last few nights so I have been trying to keep myself busy. Don’t get me wrong, I enjoy parts of it — like gymnastics, I could watch them all day long — but I am perfectly happy to not watch swimming again. So to keep myself busy, I have been baking. First up? Pumpkin Cream Cheese Swirl Muffins…because I absolutely can not wait any longer to start eating everything Pumpkin. Then today, I used up some extra coconut I had stashed away and made these Coconut Cream Pie Cookie Cups. And they are SO DANG GOOD. Y’all know how obsessed I have been with everything coconut lately. 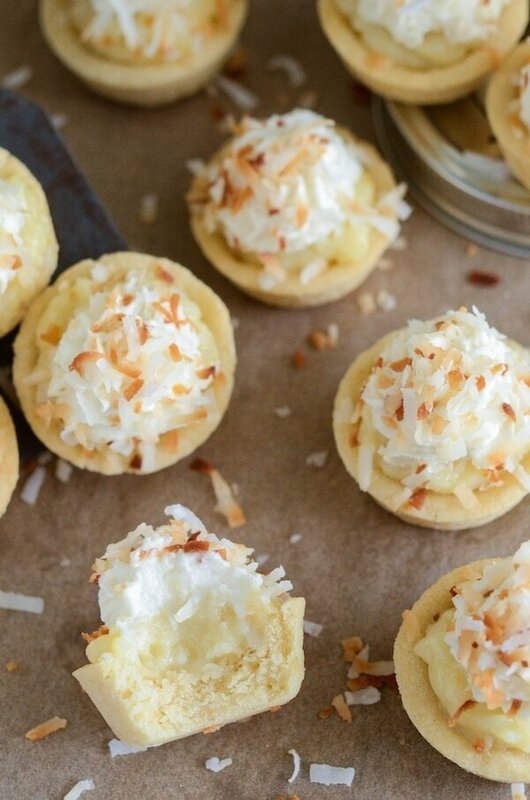 These bite size Coconut Cream Pie Cookie cups are just a continuation of that obsession. First you make a sugar cookie cup, which is really easy if you use a mini muffin tin. All you have to do is whip up the dough and press it into the mini muffin indent. Bake them for 8 minutes and they are ready for cooling! The pie filling is a family recipe that I love so very much. 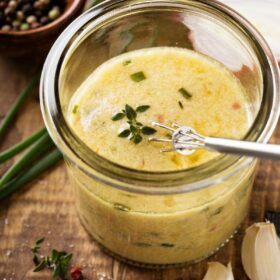 It takes about 10 minutes to make and has the perfect coconut flavor with bites of actual coconut mixed in. Recipe Tip: If you are looking to make a traditional coconut cream pie, double the filling for this recipe and pour it into a baked pie crust. Top it with fresh whipped cream and toasted coconut and you have the best coconut cream pie ever! 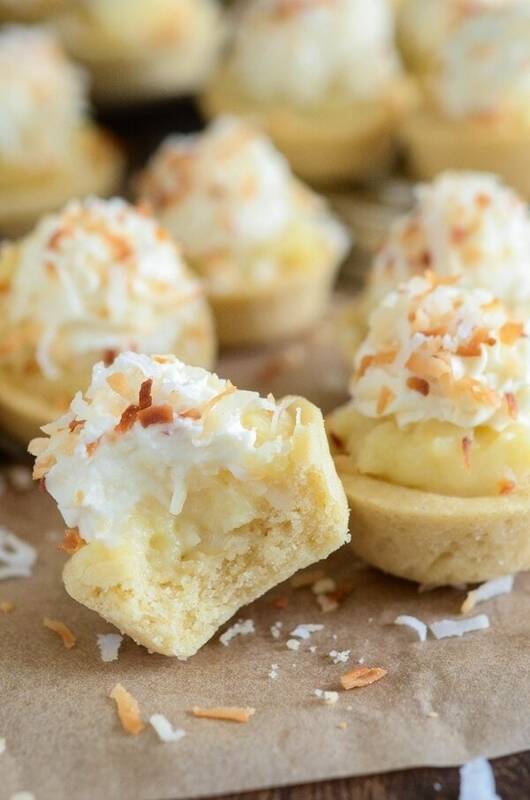 These Coconut Cream Pie Cookie Cups are the perfect bite size combination of two classic desserts — coconut cream pie and sugar cookies. 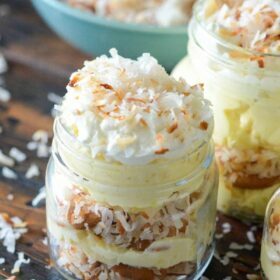 They are topped with fresh whipped cream and toasted shredded coconut and are perfect to take to a party. 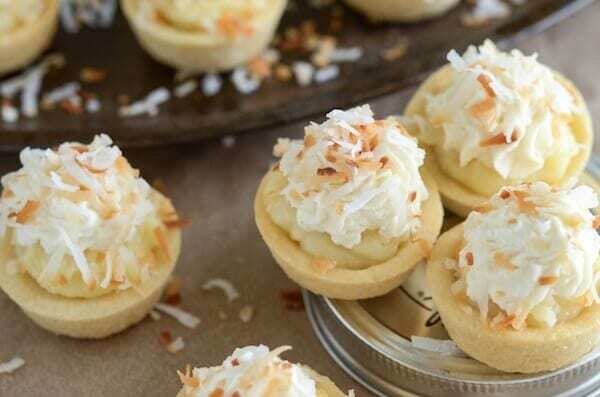 If you are a coconut pie lover, you must try these! I am like your husband, the t.v. is on the olympics all day long. I love watching sports I have have never really watched like rugby, and water polo. 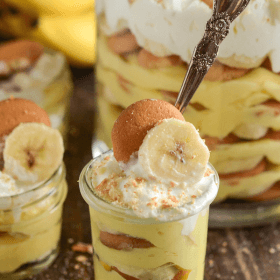 I would love a few of these delicious cups of goodness to enjoy right now! These look absolutely incredible!! i can’t wait to give them a try!! 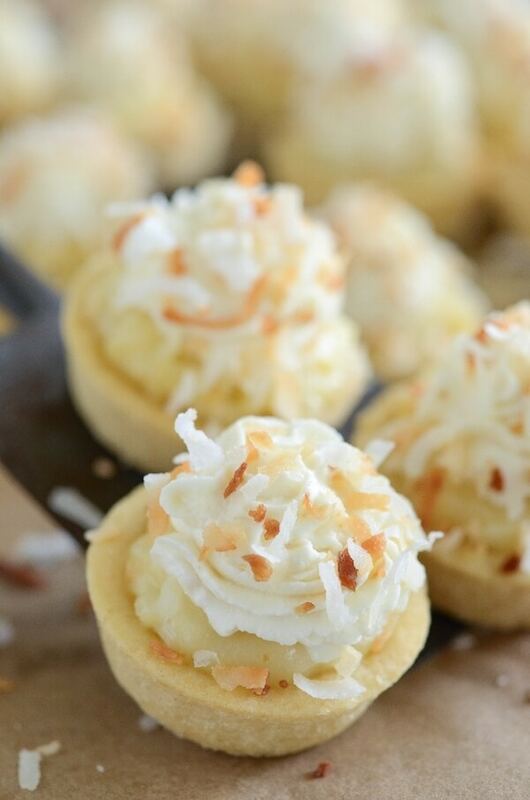 Coconut Cream Pie is one of my favorites….and even better in individual little bites! Great idea. They look delicious, and just the perfect bite! I’ll admit that I am fully engrossed in the Olympics, but I would definitely take some time off from watching to make some of these adorable cookie cups! 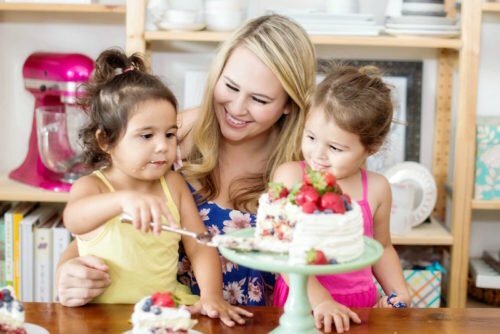 I just made these and can’t wait to see if the kids love them – I already do!! Thanks for recipe! These look incredible! 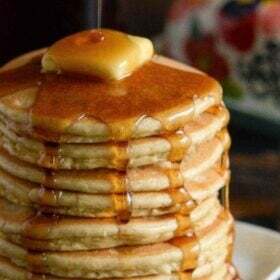 Absolutely can’t wait to make them. Huge coconut fans in our house can’t wait to try these. 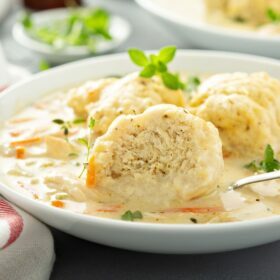 I just made two batches of these and they are delicious, but my dough mix came out very soft couldn’t roll into a ball,did I do something wrong? Was your butter possibly too soft or did you beat the dough a lot? If the dough is too soft, I would try popping it in the fridge to firm it up a little! 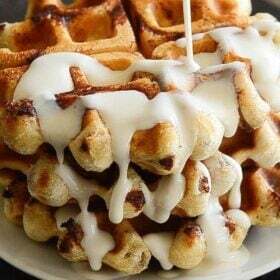 I can’t seem to find the recipe for the filling? Can you post it?